RRG has multiple restaurants that can host your next private event. Below you will find information on each to help with your decision. West Coast Provisions offers a variety of menu options. Additionally, we can customize a bar package to suit the budget and preferences for your event. Prices listed in the package do not include beverages, tax, or gratuity. East Coast Provisions offers a variety of menu options. Additionally, we can customize a bar package to suit the budget and preferences for your event. Prices listed in the package do not include beverages, tax, or gratuity. 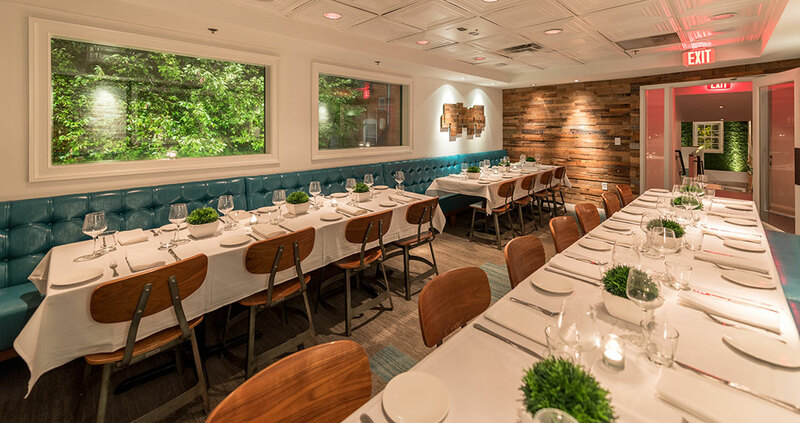 Pearl Raw Bar offers up two private areas to host events. The Back Room is suited for dinner parties with floor to ceiling garage doors, round booths and a custom menus for each event. The Vintage Room located upstairs from Pearl Raw Bar is the go to spot for cocktail parties in the Fan area of Richmond. Heavy and light hors d’oeuvre events work well in this space. Audio Video equipment and a DJ booth are both available for use. The Hard Shell Bellgrade can accommodate up to 55 guests for a seated or cocktail event or 40 for a buffet style event. The Hard Shell Downtown is perfect for special events, rehearsal dinners, luncheons or business functions and is fully equipped with a LCD projector and screen for presentations and slideshows. Customized menus, entertainment, flowers and transportation are available upon request.